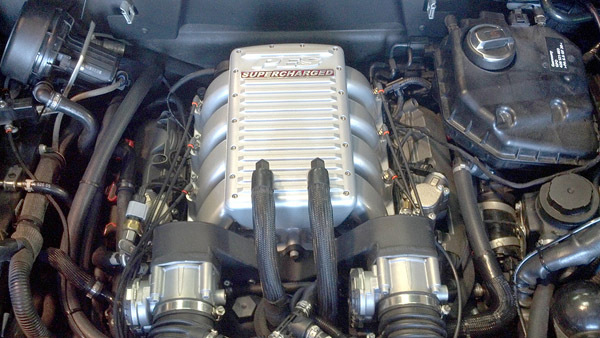 Over the last few years, Direct-injection fuel delivery engines are being introduced by many car producers. 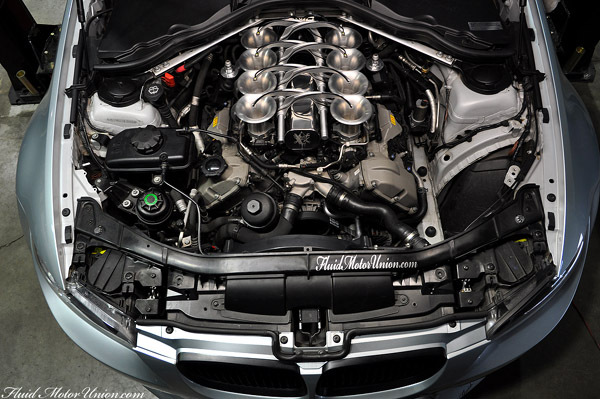 It is a welcoming trend for the performance cars, more power is achieved with good fuel economy. 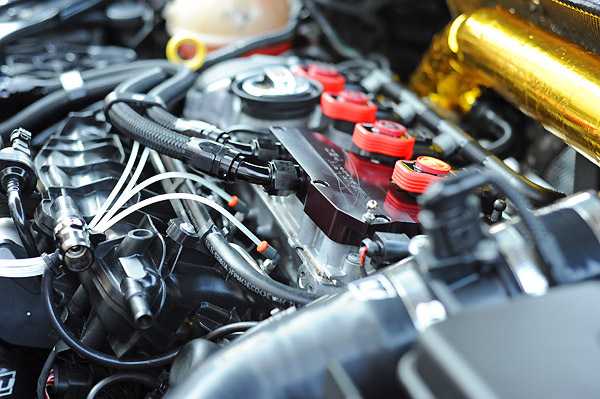 For those who wish to push the power barrier further, squeezing more fuel out of these direct injection engine is a real problem. 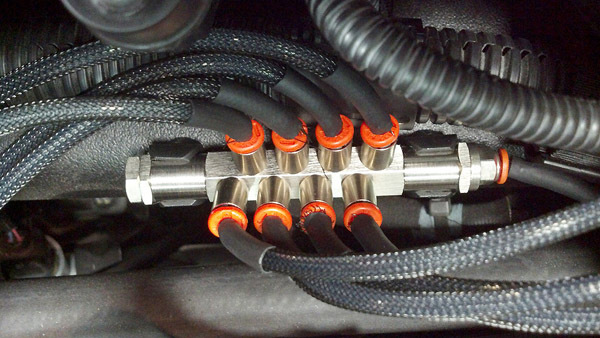 A secondary set of fuel injector for each port is one solution, but requires running two fuel lines to the engine bay and a second fuel pump. An third party programmable fuel controller is also required to drive them. 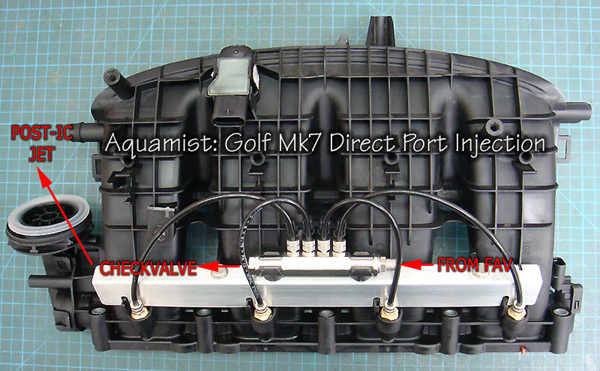 Aquamist direct-port Methanol injecton system is another solution to provide the additional fuel for these engines. It comes in one neat package costing a fraction of the other alternative. Note the Aquamist is the only system has ability to decode those complex Direct-injection signals. By tracking the fuel flow in real time, it delivers the additonal fueling seamlessly and reliably without any mapping. Compared to gasoline, methanol has an higher octane value of 108+ and three times the latent heat by evaporation. 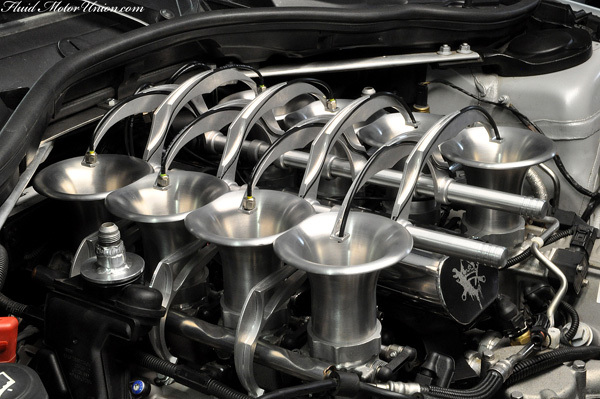 It is exceptionally effective when a jet is placed at the exit of an intercooler in additon to the port jets. These in no reason why we can't classify this setup as M10, M50 .... M85. Indy enigne used to run 100% methanol. 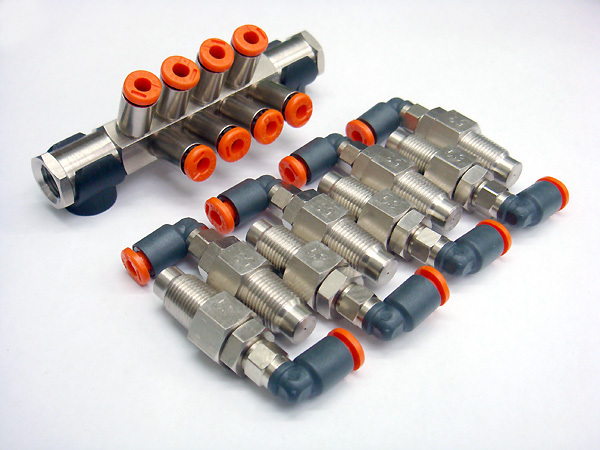 All aquamist components are also ethanol compatible. No reason why a blend of Methanol and ethanol are mixed to create a E30/M70 blend to increase the internal energy of methanol. 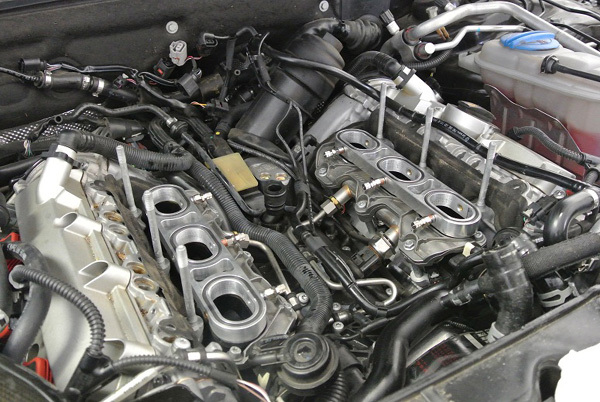 We are offering a bundled direct port upgrade for 4, 6 and 8 cylinder engines. Click the button below to add the ---- 806-400 ---- Direct port bundle options (this shop only) to your wish list.